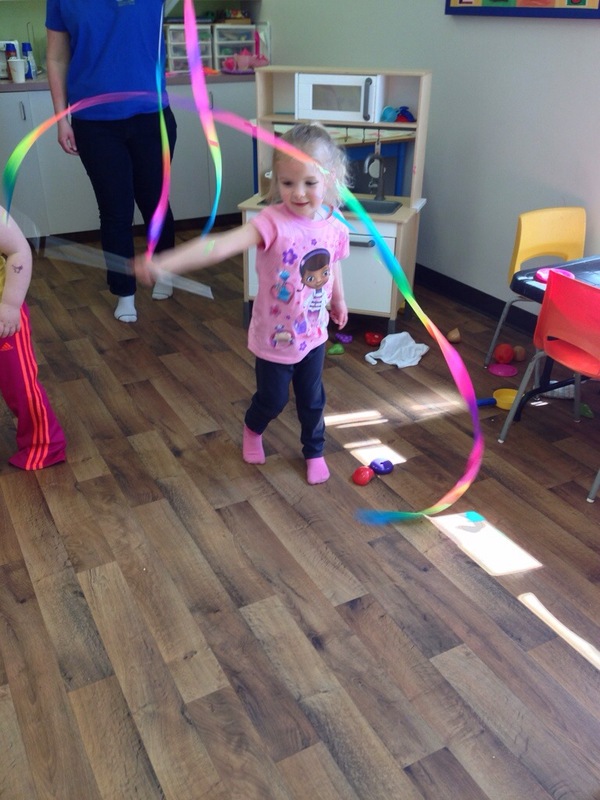 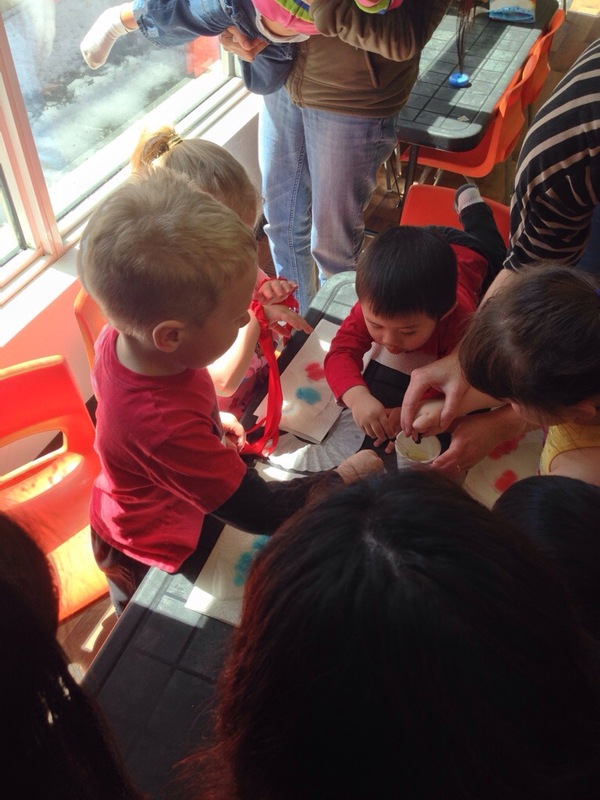 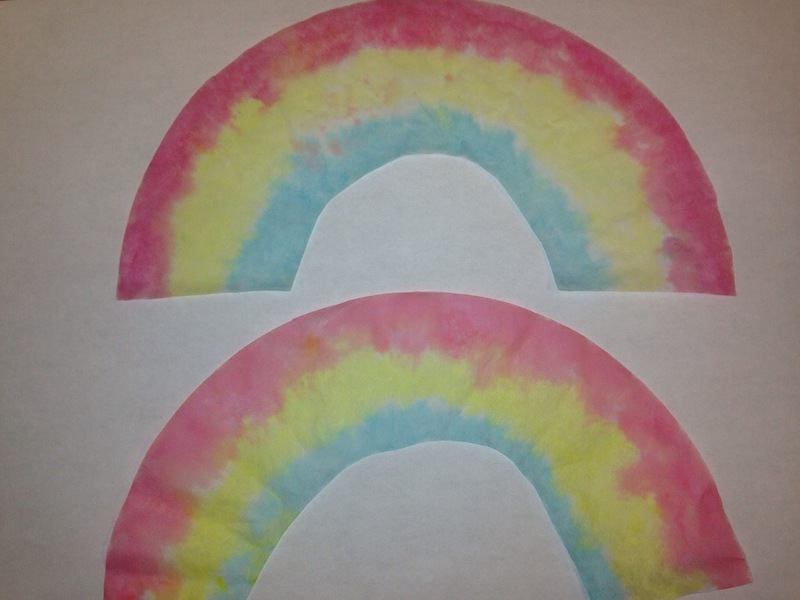 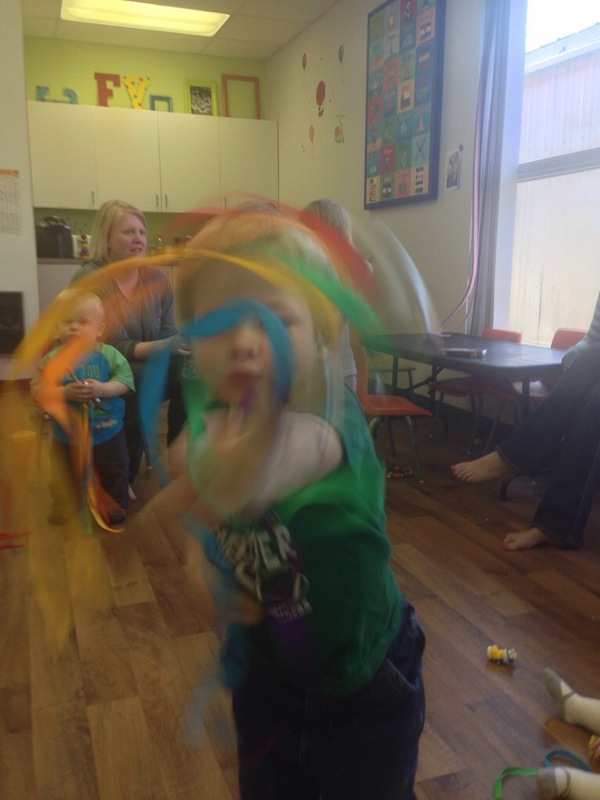 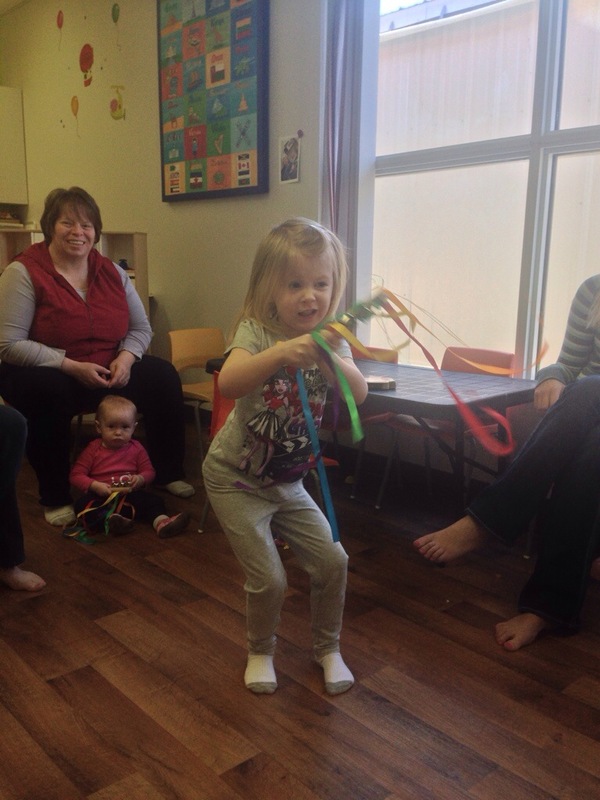 This week’s playroom theme was rainbows in hopes that maybe spring would finally get here. 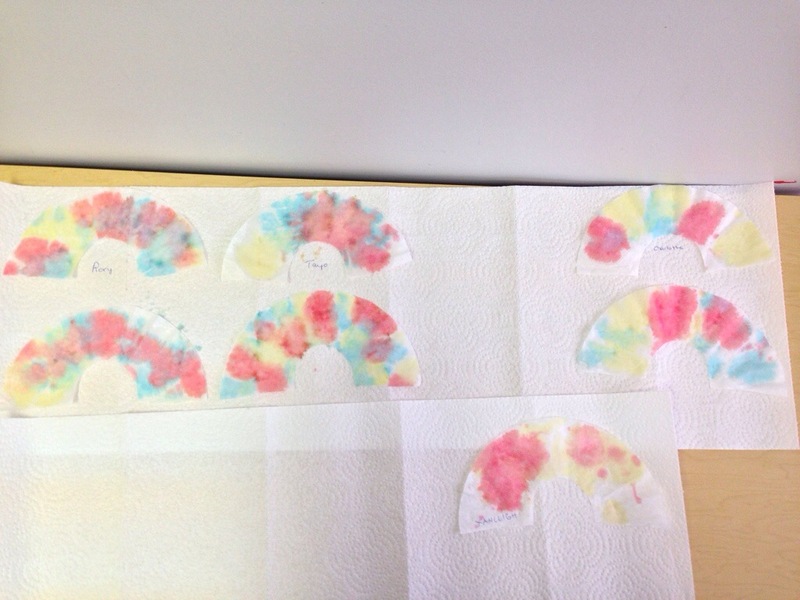 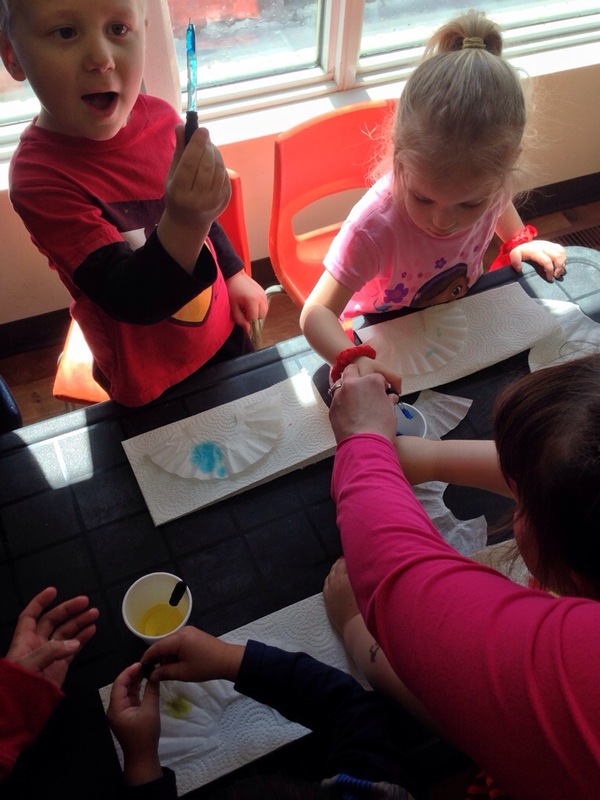 We made rainbows out of coffee filters by dripping water with food colouring onto the filter using a dropper. 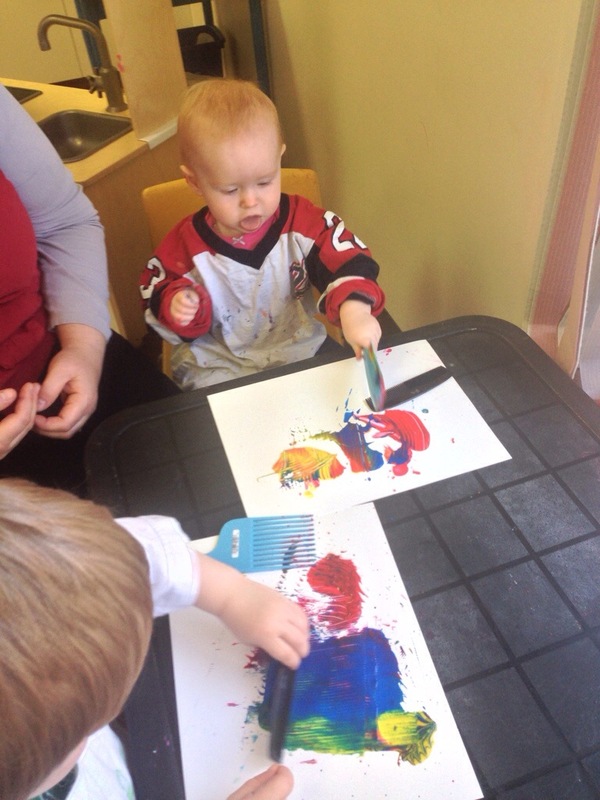 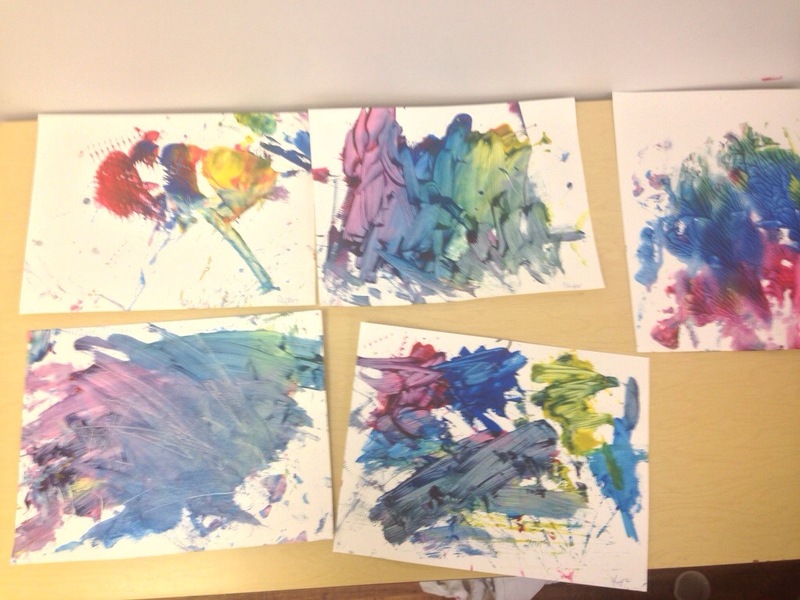 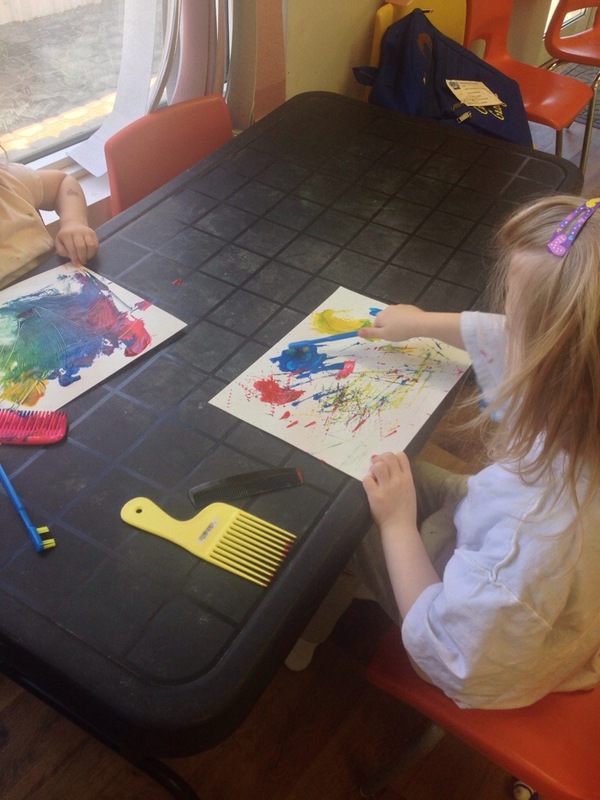 We also did painting using different combs and toothbrushes. 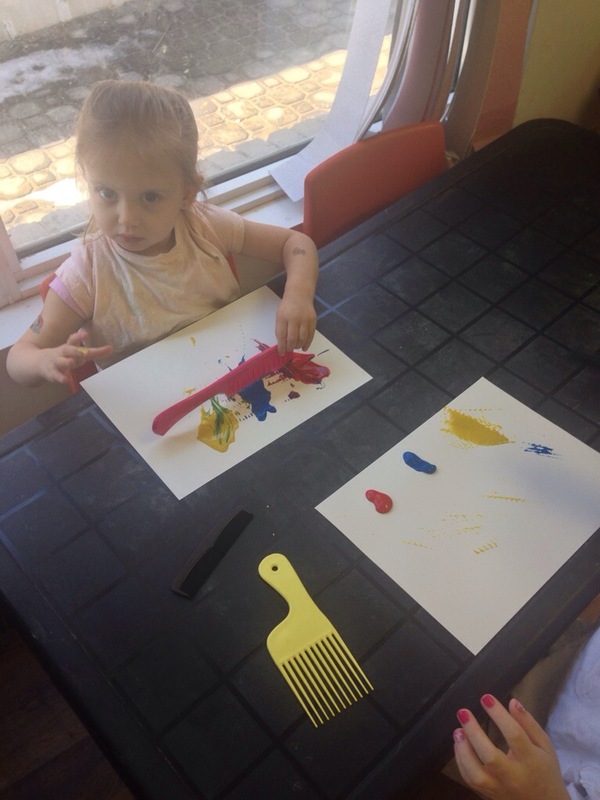 I just dropped red, blue and yellow paint onto the paper and then let the kids create the other colours of the rainbow by mixing. 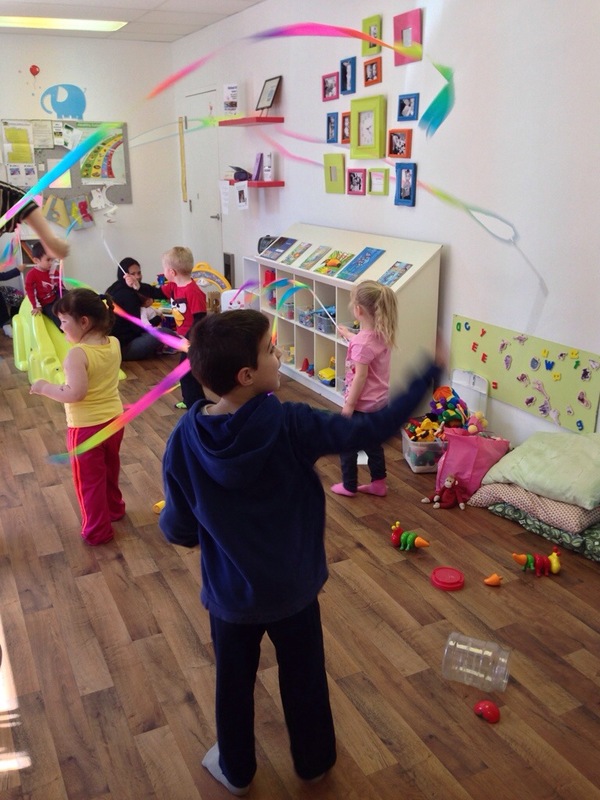 We also played with our colourful ribbons and shakers.